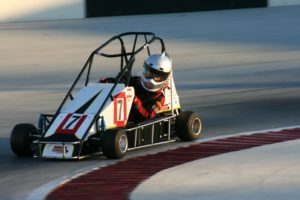 ​Since 2009, the United States Auto Club has sanctioned .25 (quarter-midget) racing. Drivers can start as young as age five and clubs can be found throughout the country. The USAC National .25 Midget Series races coast to coast throughout the year with the crown jewel event (Battle at the Brickyard), held each year at the famous Indianapolis Motor Speedway. The USAC Natonal .25 Midget Series offers drivers the ability to compete for a Pavement or Dirt National Championship throughout the season.